Bio: I cook the foods of the place where I was born, Puebla. I enjoy cooking, and I take the time to make every dish perfect, reflecting my love for them. 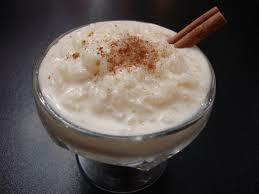 Margarita's arroz con leche is a creamy, delicious way to top off a meal of chichen in mole sauce or pork chops served on rice and beans.